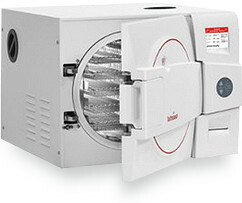 This is an overview of the daily and weekly Midmark autoclave maintenance. Always refer to the appropriate technical documentation for the complete list of instructions, safety alerts, and sequence of procedures before conducting any service or maintenance operations. 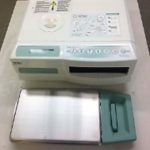 Your Midmark autoclave will provide many years of trouble-free service if recommendations for periodic maintenance are carefully followed. Recommended maintenance is easy to do and takes very little time. If the recommended maintenance is not performed, mineral deposits and corrosion can build up on the internal components, resulting in operational problems, down time, and service fees. 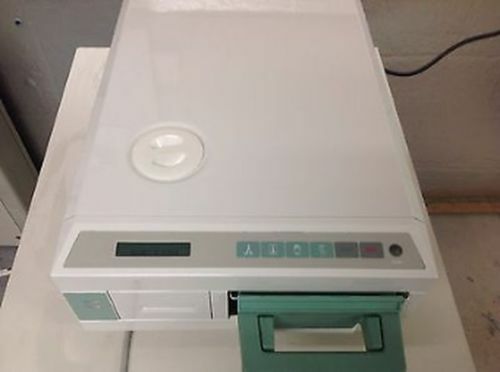 One of the most important steps you can take to prevent problems with your autoclave is to ensure that only distilled water, not tap water, is used in your autoclave. 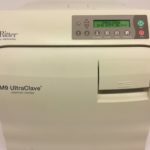 Since the autoclave operates with high water temperatures, any minerals dissolved in the water will form mineral deposits. This can prevent valves from opening or closing properly. It can also lead to corrosion in the chamber and tubing. 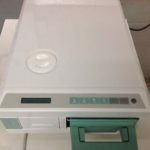 To assure proper operation and maximum sterilization life, the Midmark M7, M9 and Midmark M11 provide the operator with maintenance reminders on the display screen. The reminders are removed from the display once the cycle has started. 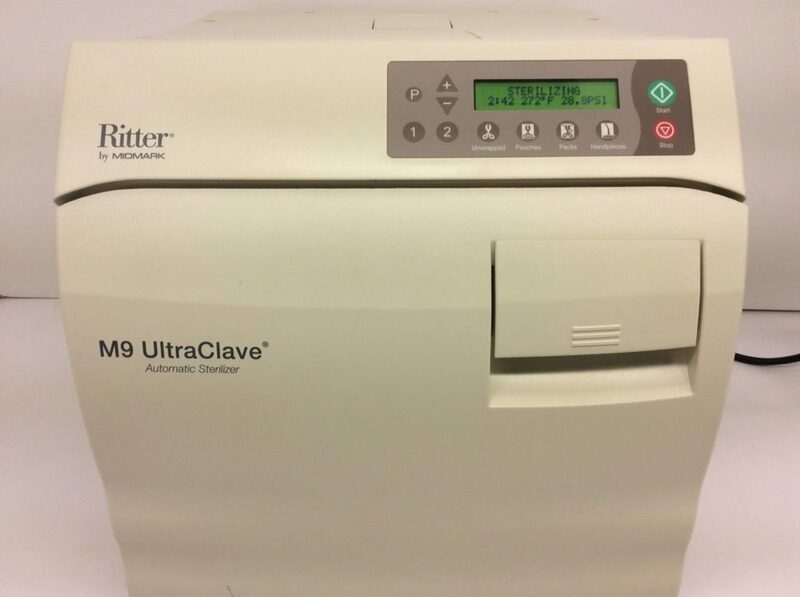 The exterior of the autoclave should be wiped down each day. Use only quaternary disinfectants to disinfect the unit. Do not use alcohol or bleach based cleaners. The door gasket and door dam gasket should be inspected for damage. When the inspection is complete, wipe with a damp cloth. 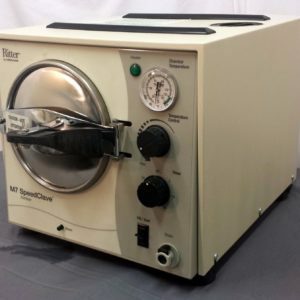 If the autoclave processes instruments that have been lubricated or dipped in ultrasonic cleaners, the autoclave must be drained and refilled with distilled water every day. This prevents other items from being contaminated with the residue from these fluids. It also prevents excessive residue build up from damaging the unit seals. 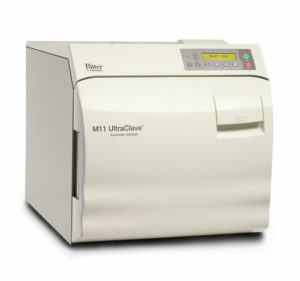 Every seven days, the autoclave will automatically display the “perform weekly maintenance” message. 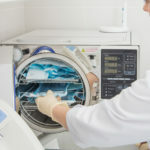 Midmark autoclave maintenance (weekly) consists of two operations: Changing the water in the unit and cleaning. 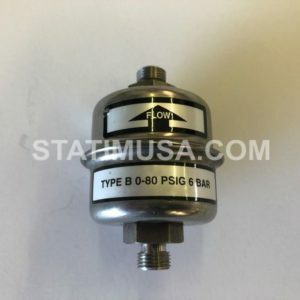 After disconnecting the upper portion of the water level indicator, bend it downward and let the reservoir drain in a suitable container, a bucket for example. Remove the trays and rack from the autoclave. To remove the tray rack, use a screwdriver and pry the plate up while pulling the tray rack and plate out of the chamber. 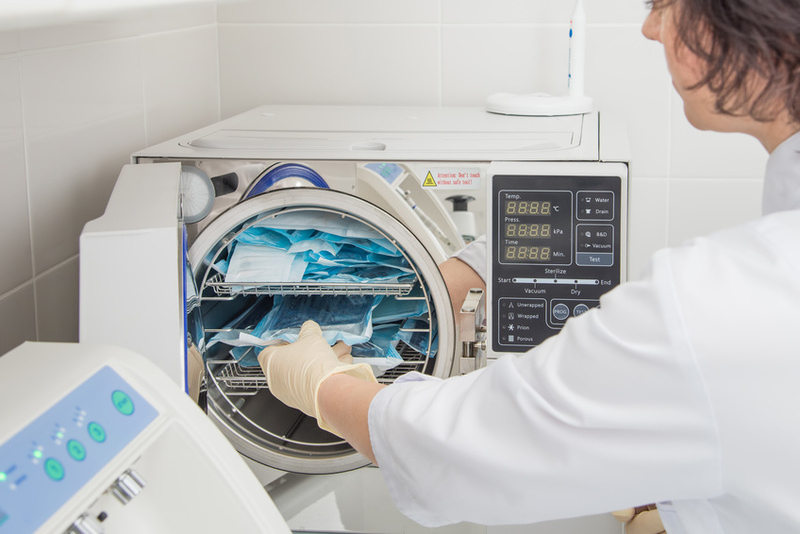 After removing the trays and rack from the autoclave, clean the trays in the inside of the chamber with distilled water and speed clean or a mild soap. 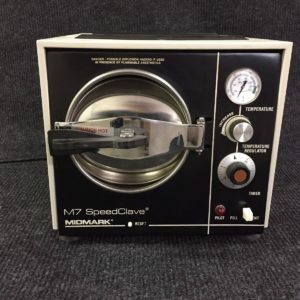 Bleaching agents and abrasives can damage metal services and should never be used to clean the autoclave chamber. This includes steel wool, scouring powder, bleach, or wire brushes. To install the tray rack and plate back in the unit, insert the tray rack into the tray plate. Press down on the tray rack while sliding it into the chamber. Refill the reservoir with distilled water until the water level indicator is in the green area. 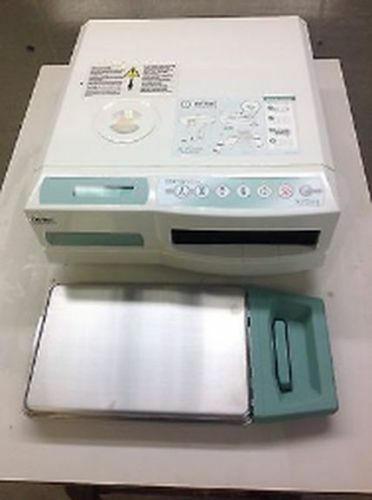 The “perform weekly maintenance” message will go away during your next sterilization cycle. 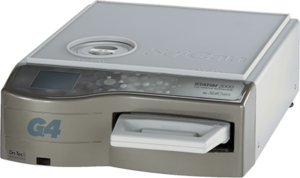 For more detailed information about midmark autoclave maintenance, please call Sterilizer Autoclave Solutions at 704-966-1650 or visit us on the web at StatimUSA.com.